Spanish state: what does the Sánchez cabinet portend? June 20, 2018 — Links International Journal of Socialist Renewal — At the June 8 ceremonial hand-over of portfolio briefcases from outgoing People’s Party (PP) ministers to their incoming Spanish Socialist Workers’ Party (PSOE) substitutes, the contrasts were pretty dramatic. 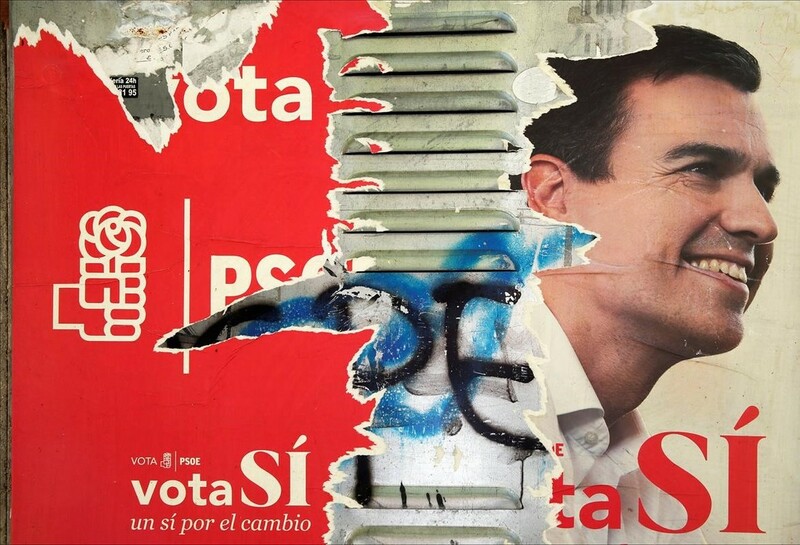 A bunch of reactionary lifetime political operators and religious obscurantists were giving way to what new PSOE prime minister Pedro Sánchez boasted was a “progressive”, “feminist” and “Europeanist” alternative. The PSOE leader replaced deposed prime minister Mariano Rajoy’s 15-member ministry of ten men and five women with an 18-member team of 11 women and seven men, easily the most “feminist” in Europe and pushing Sweden (12 women and 11 men) into a distant second place. It also featured two gay ministers, former National High Court senior judge Fernando Grande-Marlaska as interior minister and Máxim Huerta, TV presenter, journalist and novelist, as culture minister. June 5, 2018 — Links International Journal of Socialist Renewal — On June 1, the Spanish government of the ruling People’s Party (PP) of Prime Minister Mariano Rajoy fell to a no-confidence motion brought against it in the 350-seat Spanish congress by the opposition Spanish Socialist Workers Party (PSOE), led by its federal secretary Pedro Sánchez. The vote was 180 to 169 with one abstention. This result installed Sánchez as the new prime minister of Spain. It was the first time since a multiparty-system replaced the Francisco Franco dictatorship 40 years ago that a no-confidence motion has succeeded. Key to the final result was the decision of the conservative Basque Nationalist Party (PNV), governing the Basque Autonomous Community (Euskadi), to support the PSOE motion. Without its five votes the motion would have been lost because an absolute majority of 176 was needed for its adoption. Previously, the two Catalan nationalist parties with a presence in the Congress — the centre-left Republican Left of Catalonia (ERC) and the conservative nationalist Catalan European Democratic Party (PDECat) — had flagged their support. The Spanish People’s Party (PP) government of Prime Minister Mariano Rajoy has decided to impose direct rule on Catalonia under article 155 of the Spanish constitution. This clause allows the central government to take over the powers of a regional government if it “does not carry out its constitutional and legal obligations or acts in a way that seriously damages Spain’s general interest". Rajoy announced the package enforcing the intervention on Saturday, October 21. The main measures are: sacking Catalan premier Carles Puigdemont, deputy premier and treasurer Oriol Junqueras and all other ministers and having their departments run from Madrid; prohibiting the Catalan parliament from appointing any replacement Catalan premier or adopting any legislation unacceptable to the Spanish government; and holding elections when the Catalan political and social situation has "normalised", in six months at most. 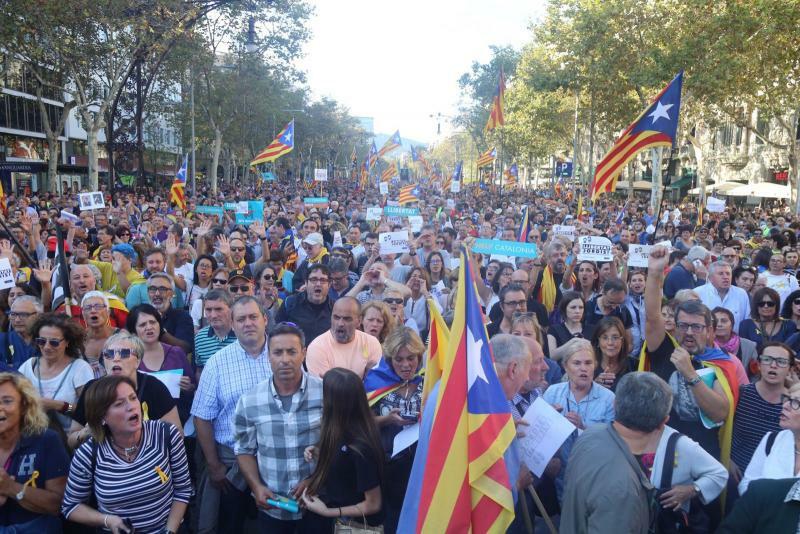 September 10, 2017 — Links International Journal of Socialist Renewal — The June 9 decision of Catalonia’s pro-independence Together For The Yes (JxSí) government to hold a referendum on whether the country should become “an independent state in the form of a republic” has created a raft of differences within the Catalan and all-Spanish left. The decision came after all efforts at a negotiating a Scottish-style referendum with the Spanish government had come to naught. Besides the social-democratic Spanish Socialist Workers Party (PSOE) and its regional affiliates, nearly all left currents in Spain support the right to self-determination of the peoples of the Spanish State: they differ, however, over how that right should be concretely exercised. August 6, 2017 — Links International Journal of Socialist Renewal — On September 26 last year, José García Molina, the secretary-general of Podemos in the central Spanish autonomous community (state) of Castilla-La Mancha, announced that his party’s agreement keeping the regional Spanish Socialist Workers Party (PSOE) government in office had «died of disappointment and shame». According to García Molina, the agreement had expired «waiting for one of its signatories to breathe life and inspiration into it, waiting for justice to be done to what had been presented and signed, but most of all it died from shame at realising some people’s lack of commitment to their promises and undertakings.» This was despite the Castilla-La Mancha government’s claim that of the 72 points agreed with Podemos as a basis for its support, 49 had been completed and 19 were in the process of being implemented. Showdown in Catalonia: Can the independence referendum actually happen? June 26, 2017 — Links International Journal of Socialist Renewal — Nothing alarms Spain’s establishment more than the prospect of the unity of the Spanish state being threatened by the desire for self-determination of the peoples that live within its borders. “Spain: One, Great and Free” — the catchcry of the Francisco Franco dictatorship (1939-1975) — is still the guiding principle and ruling emotion of this elite, even under the regionalised “state of autonomies” created by the 1978 post-dictatorship constitution. This reality explains why prime minister Mariano Rajoy, head of the People’s Party (PP) government, announced at its inauguration on August 30 last year that “Spain’s most serious challenge” is the possibility of secession by Catalonia. So the June 9 announcement by Catalan premier Carles Puigdemont of the date and question of his government’s promised referendum on Catalonia’s future relation with Spain inevitably had the Madrid establishment media (dubbed “the cavern” in progressive circles) in a frenzy. May 31, 2017 — Links International Journal of Socialist Renewal — The plan had seemed so well organised. Its first stage was successfully executed on October 1 last year when the ruling elite in the Spanish Socialist Workers Party (PSOE) got the party’s 250-strong Federal Political Committee (FPC) to force the resignation of general secretary Pedro Sánchez (see account here). Sánchez’s crime had been his refusal, after the inconclusive June 26 general election last year, to allow the formation of a minority People’s Party (PP) government through PSOE abstention. He had also proposed to have this refusal put to the PSOE membership for endorsement and to have a new primary for the position of general secretary. 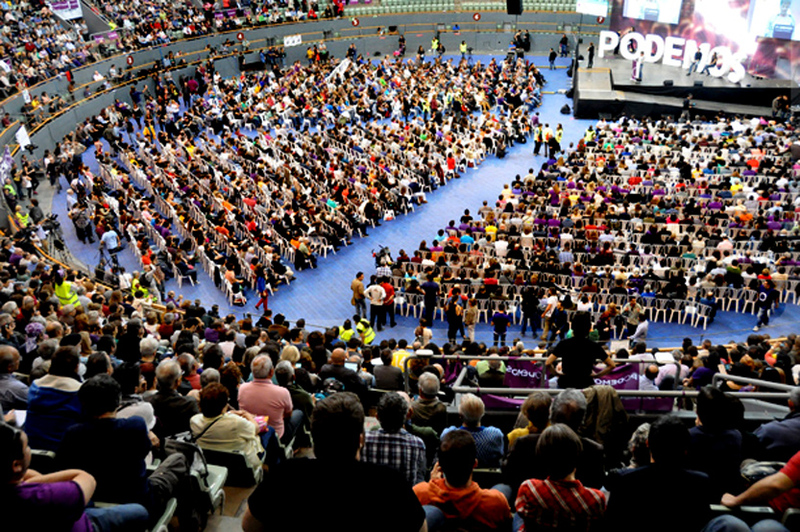 March 11, 2017 — Links International Journal of Socialist Renewal — In the end the close result that participants and commentators alike were expecting never happened: at the second congress (“citizens’ assembly”) of the radical Spanish anti-austerity party Podemos, held in Madrid on February 11-12, the proposals and candidate list of outgoing general secretary Pablo Iglesias easily defeated those of outgoing political secretary Iñigo Errejón. February 10, 2017 — Links International Journal of Socialist Renewal — February 6 marked the 80th anniversary of the start of the “Battle of Jarama” during the Spanish Civil War, as left-wing and democratic forces fought to stop the fascist forces of General Franco taking power. Alongside the Battle of Madrid, the Battle of Jarama is commonly associated with the participation of the International Brigades — volunteers, often organised by Communist parties, who travelled from around the world to Spain to join the anti-fascist fight in defence of the 1931-39 Spanish Republic. Following Franco’s failure to take Madrid in October-November 1936, the fascist forces attempted a military offensive in February 1937 on the western flank of the Spanish Republic forces, alongside the river Jarama. While the offensive failed, and the counter-offensives by the Republican forces effectively turned the battle into a stalemate, the battle itself became synonymous with the military, political and moral contribution of the International Brigades to the anti-fascist struggle. Holding the frontline at Jarama were thousands of volunteers from Britain, Ireland, United States, Italy, France, Belgium and many others who came from around the world to defend Spanish democracy against Franco, Hitler and Mussolini. 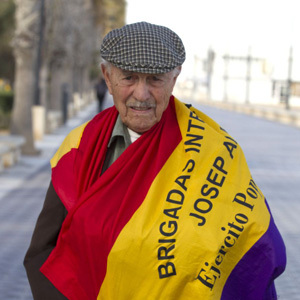 Among a handful of surviving International Brigadiers remaining today is José Almudéver Mateu. November 16, 2016 — Links International Journal of Socialist Renewal — In the end, on October 29, it all worked out pretty well for Mariano Rajoy. After patiently implementing his motto that “all things come to he who waits”, the leader of the minority conservative People’s Party (PP) was that day confirmed as Spain’s prime minister for a second four-year term. Two days later, Rajoy was sworn in by King Philip and normal operations were resumed in the institutions of the Spanish state after ten months of tension and turmoil springing from the inconclusive general elections of December 20 and June 26. 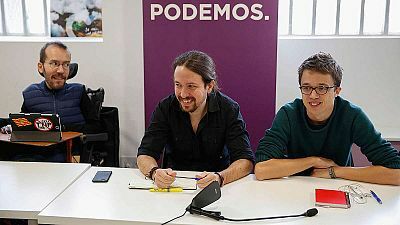 These had converted the two-party system into a four-party game, with newcomers Podemos (on the left) and Citizens (on the right) drawing millions of voters away from the PP and the Spanish Socialist Workers Party (PSOE), Spain’s other traditional “party of government”. No party had a majority and the second election was called because the PSOE’s attempt to form a government with Citizens failed because of the opposition of the PP, Podemos and the rest of the left, as well as of Basque and Catalan nationalist forces.